@itsDaumPark Jokes aside I’m keen! I want this beautiful pixel pigeon in my life. @itsDaumPark But can we *date* the bird? I enjoyed writing my last article about how Duped has evolved around the player (check it out here), so I thought I’d write a followup on a similar evolution that a part of the game went through. Today we’re going to talk about how and why the UI for creating a clone evolved. For those of you who haven’t played Duped, one of the key mechanics is creating a clone. You use the right analog stick to do so, holding it in the direction you’d like the clone to be created. If you look above, you can see what this used to look like in practice. You hold the stick in a direction, usually either upwards (to make a stack) or forward or backwards (to shoot a clone out in front of you). The UI you can see in the gif above is pretty simple. It conveys the fact that cloning is “charged up”, but what it fails to do is convey the inherent directional nature of cloning. I made an assumption when making this UI, which is a very dangerous thing for a player to do. 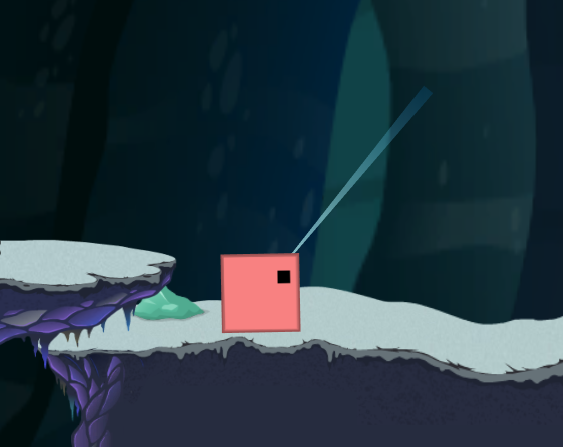 My assumption was that players would connect the directional input (pointing the stick in a direction) with a directional output (the way the clone fired). This, unfortunately, wasn’t the case. Above you can see a player attempting to solve level 2-2. This is the second level after you learn how to create clones. In fact, in order to progress to this point in the game, the player needs to know that you can shoot clones in multiple directions. However, as you can see from the gif above, the player only places clones above themselves. In the ~5 minutes it takes players to get from the Hub World through to world 2-2, players would unanimously forget that they were able to create clones in any direction. This led to what you see above, players trying and failing to solve the puzzle using a stack of clones. My mistake was a fairly obvious one – I had underestimated how much players will form an association with the actions they do. If a player doesn’t use an ability, they’ll forget that they’re able to use it. When the two find their place and kneel in reverence, the shrine will reveal itself. This sounds straightforward enough. There are clearly two spaces for you to interact with. The Legend of Zelda even has a crouch/kneel button. The problem was, I had not used this function more than once, for the ENTIRE game. I completely forgot that it existed, and was unable to solve this puzzle without looking up a walkthrough. 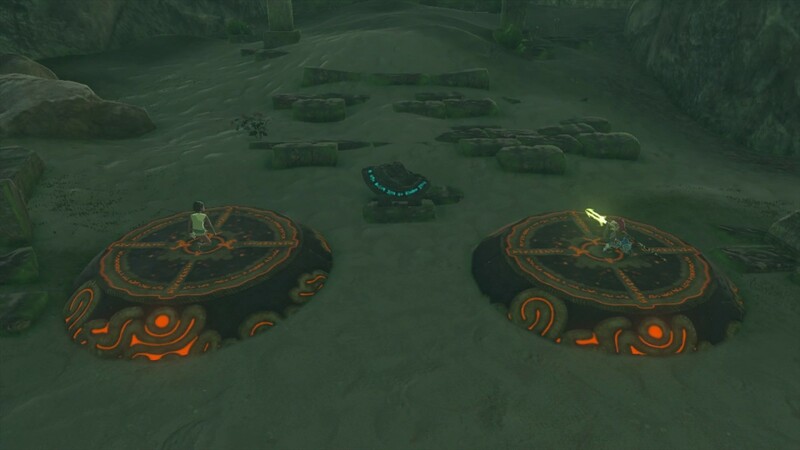 I wasn’t alone in this either – I talked about it with my friend who was also stuck, and he revealed that his closest guess as to what to do was wait until beating the game, then hopefully be able to play as Zelda, who had a crouch function. I think he was confused by “the two”. Anyway, the point I’m trying to make is that players can forget controls, and this leads to the players assuming that they’re solving the game wrong. Which they are – but it’s not really their fault if the game gives them no indication of how to solve a puzzle, and no opportunities to practice it before they get to this point. This is what the Clone UI looks like now. Although it’s still not perfect (it doesn’t really accurately represent how far a clone will be shot), it does do one thing better – it conveys direction. Players are now able to much more easily figure out how to solve a number of puzzles, not just at 2-2, but in a number of small ways where shooting a clone in a direction is easier than creating a stack and jumping your way through. Similar to my last article, this revelation only really came through when I had players testing my game. I never imagined that people would simply forget a function they were able to perform in the game. So… I guess my thesis for this article is the same as for my last one! Have people play your games. You’ll be surprised by all the ways that players do the exact opposite of what you expect them to.